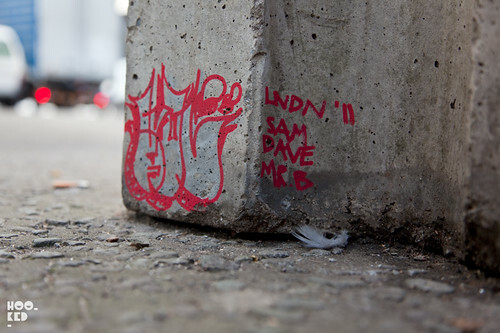 With an upcoming exhibition in early December 2011 at East London's Pictures On Walls gallery space, German stencil artist EVOL would appear to have already landed in London. 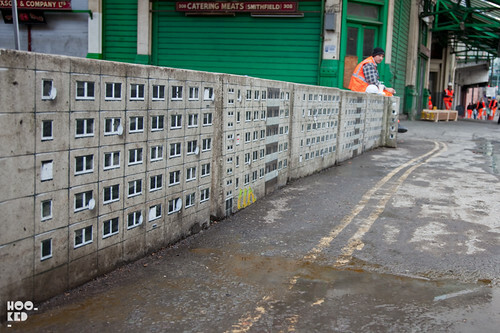 Earlier in the week saw the appearance of his signature stencil cityscapes in Smithfield Market. 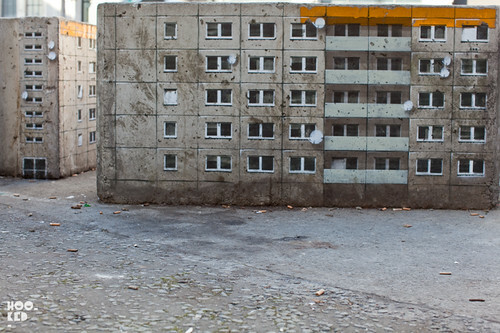 Having only ever seen the artist work online it was fantastic to finally see the work in person and check out the impressive detailed stencil work. 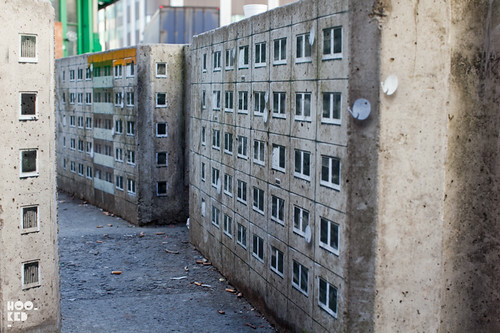 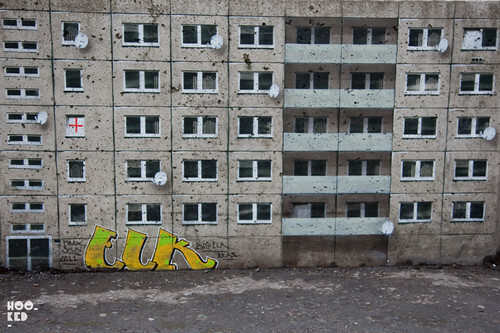 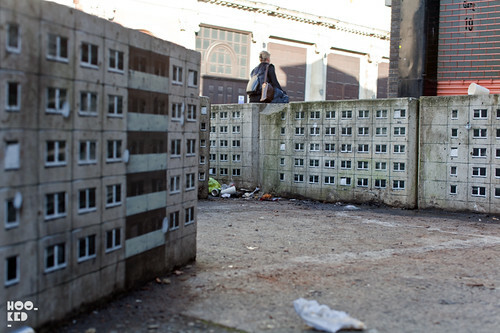 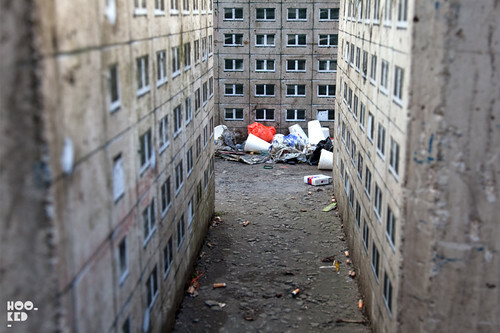 The artist has transformed a dozen or so concrete barricades into a tower block city complete with satellite dishes, tagged up walls and graffiti.